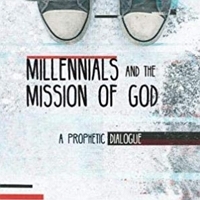 What if our entire Brigada family went to this link and read just the first chapter of the book, “Millennials and the Mission of God, A Prophetic Dialogue” by Andrew F. Bush and Carolyn C. Wason. Then, after reading, what if we commented our take on the free excerpt (pages 1-19). (Some of us might actually order the whole book!) Once we’re done, maybe we’ll have some helpful dialogue to understand not only how to relate to this young and daring generation, but how to help them change the world in which we live. : ) Will you accept the dare? Scroll down the page and check out the articles he wrote in Mission Frontiers alone. This guy was the Energizer Bunny for Christ. Please take a look at the offer on that page for a free copy of his book, “HASTENING,” and check out how you can offer it to your contacts. Please take a moment right now to lift up Laura — and thank the Lord for the blessing it was to learn from this great man of God, co-author of T4T: A Discipleship Re-Revolution, follower of Christ, disciple-maker of many. or just search “More Disciples on Amazon” to find it from your favorite search engine. More Disciples is written by Doug Lucas, with Introduction and Epilogue by Curtis Sergeant and Foreword by David Garrison. The Kindle version has Worldwide enabled and also comes with enhanced typesetting. Page Flip is enabled and you can also read it on Kindle Unlimited, if you’re a subscriber. What’s more, if you’ve already purchased the print version, you can pick up the Kindle version for just 99 cents. One reviewer (L.E.) wrote, “This thorough yet easy read is the one book you need to understand and participate in a disciple-making movement (DMM). Of course it is God who works on hearts and draws people to Himself, but this book is a handy tool for being part of what God is doing in the world and making His name known among the nations.” Chris Galanos is author of From Megachurch to Multiplication: A Church’s Journey Toward Movement. He wrote, “More Disciples is a must-read for every Christian! Making more disciples is the mission that Jesus left us with and should be a major focus of our lives. Doug does a great job articulating how every Christian can be a fruitful disciple-maker. Perhaps you question if God really can use you to make more disciples. Perhaps you assume that only pastors and missionaries can make more disciples. That couldn’t be further from the truth. This book will set you on fire as you realize that God not only CAN use you but WANTS to use you to make many more disciples!” Now, with the Kindle version available, you can take More Disciples with you in an encrypted folder on your hard drive to be a companion in your multiplication journey. 11) Can You Believe it? The 3D Gospel in Arabic for FREE! 5) Fikkert & Kapic (and Chalmers) Release New Book, "Becoming Whole"
“You see, the story of poverty alleviation shouldn’t be to turn Uganda into the United States or the inner cities in the suburbs, for all of these places are fundamentally broken. Rather, the right story calls for all these places to become more like the New Jerusalem. That’s God’s story. It’s the only story that is actually true, the only story in which we can actually play the roles for which we’ve been created. It’s the only story that actually works. 12) Where Can We Learn to Share the "3 Circles" Presentation? We’re DEEPLY indebted to men like Curtis Sergeant, Eric B., David L., as well as disciple-makers in Caracas, Venezuela (including Julio in particular) for creating this manual. The amazing thing is — they’re now sharing it with us for free! Mil gracias a todos! 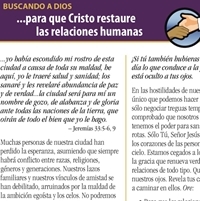 3) "Seek God for the City" Now Available in Spanish: "Clama a Dios…"